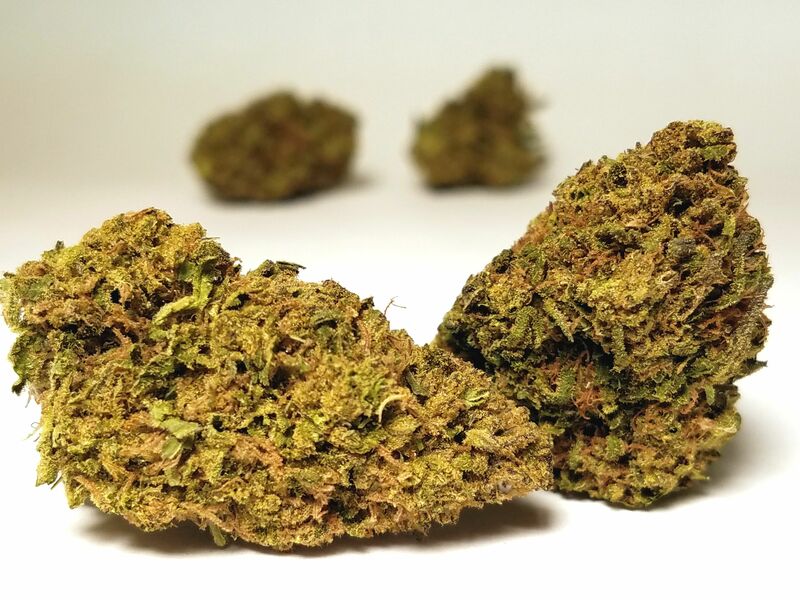 Jack Herer is a sativa-dominant cannabis strain that has gained as much renown as its namesake, the marijuana activist and author of The Emperor Wears No Clothes. Combining a Haze hybrid with a Northern Lights #5 and Shiva Skunk cross, Sensi Seeds created Jack Herer hoping to capture both the cerebral elevation associated with sativas and the heavy resin production of indicas. 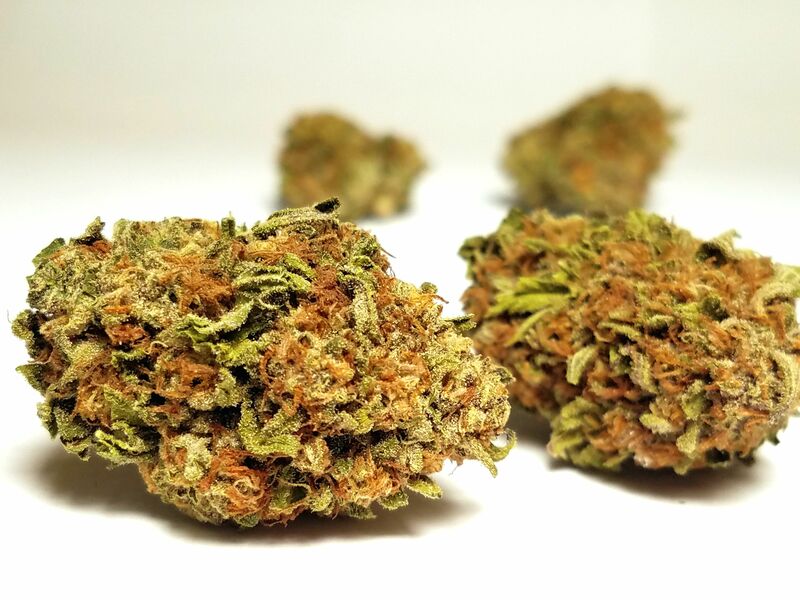 Its rich genetic background gives rise to several different variations of Jack Herer, each phenotype bearing its own unique features and effects. However, consumers typically describe this award winning 55% sativa hybrid as blissful, clear-headed, and creative. This is an outstanding version of the classic many of us have come to know and love! Grown with all the energy from the sun touching these old genetics has produced a bright tropical and fresh herbaceous, almost minty, aromatic flower. 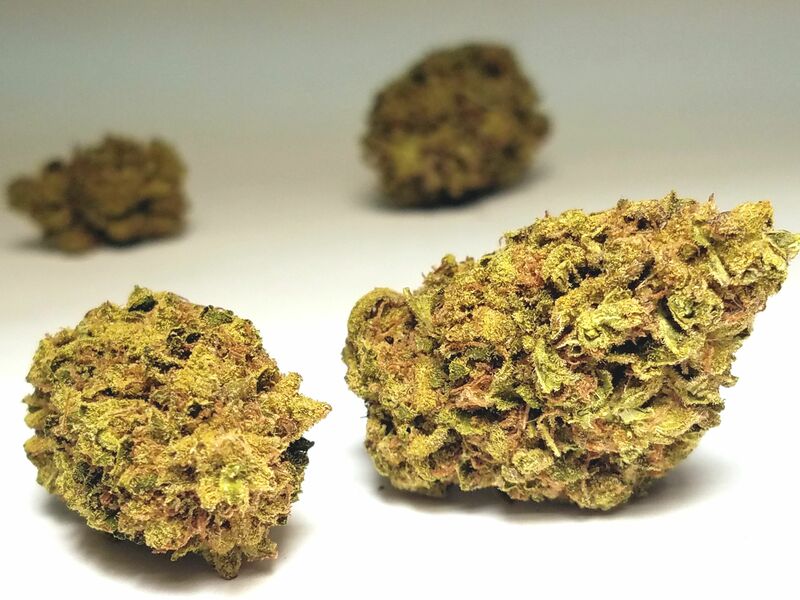 These full big forest green buds are ready to take you on a truly sativa journey with a clean racy psychoactive high that will leave your memory behind so be prepared. Another one of Pruf Cultivars coveted GG#4 and Stiletto crosses, this one is a well balanced combination. Ideal for those who wouldn’t think twice about attending a bonfire at dusk in a pair of stiletto’s. Limonene plays a strong note, with notable quantities of terpinolene, ocimene and pinene which gives a bright, candy like flavor with still slight notes of GG#4 gas in the background. Cherry Pie Kush is cross of flavorful Cherry Pie and the hard hitting San Fernando Valley OG (SFV) that forms a well balanced hybrid effect. 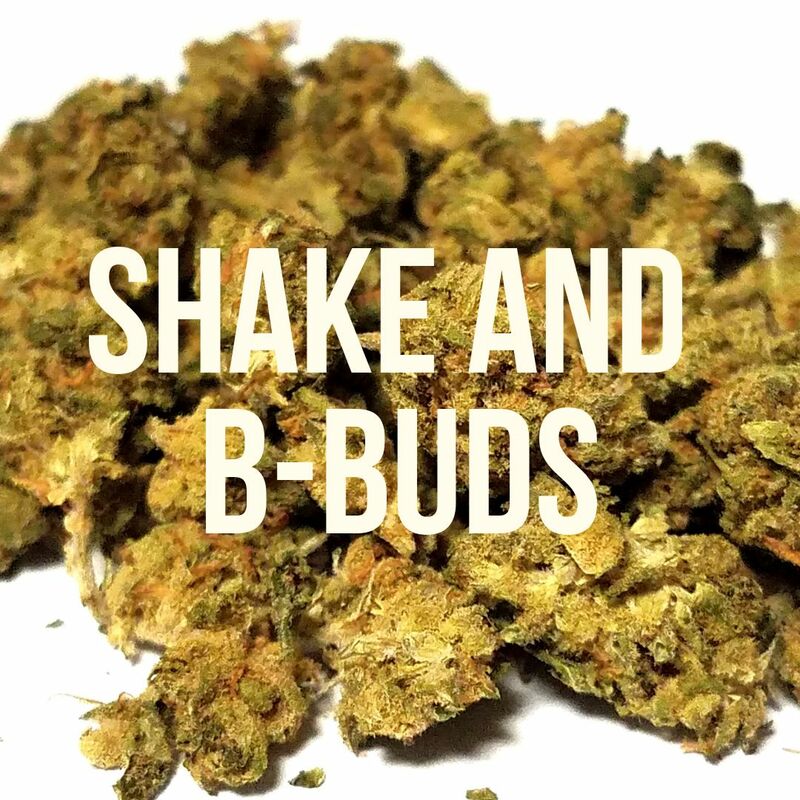 As giggle inducing strain, be prepared for a rush of muscle relaxation and a nice joyful night as this is a hybrid that is still better for after work sessions. The ripe cherry, baked goods and spice flavors are a nice change of pace from the more common taste profiles out there! 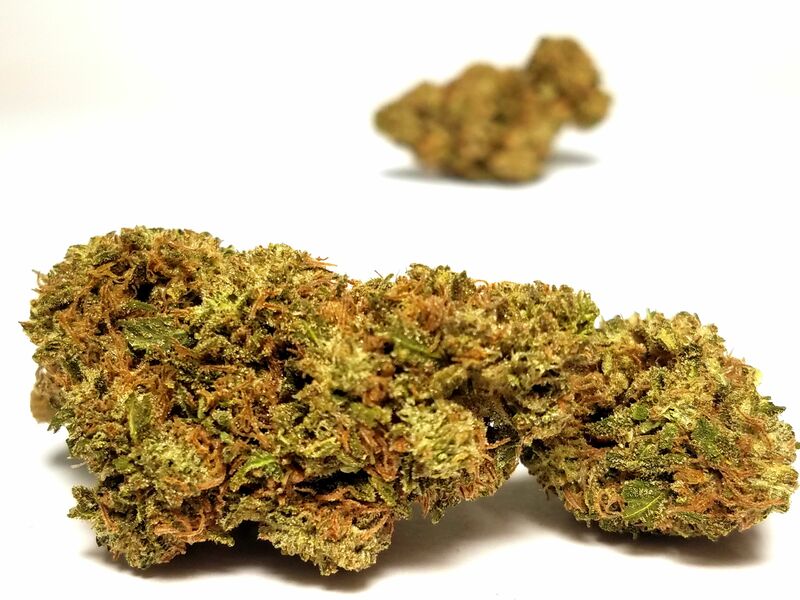 NYC Trainwreck provides strong cerebral effects that ease into a deep, full-body relaxation over time. The strain is a mind-bending hybrid with potent sativa effects that hit like a freight train. 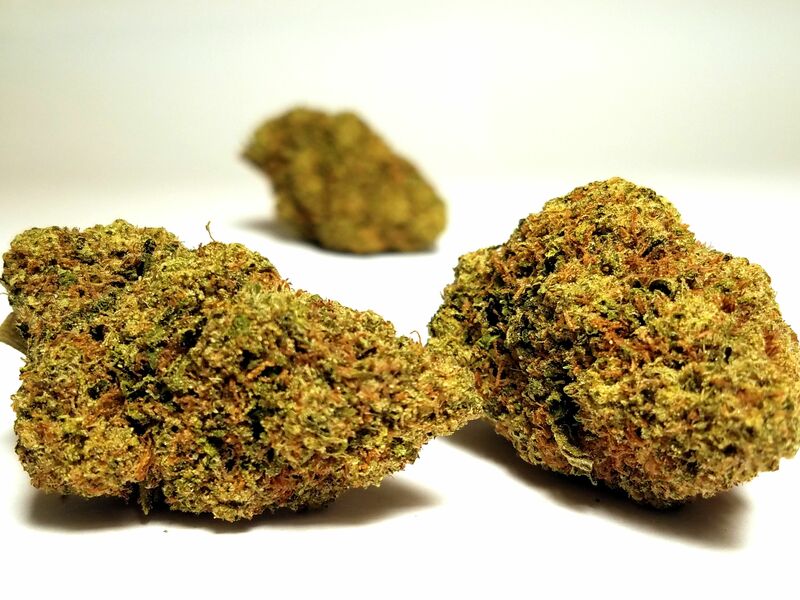 Mexican and Thai sativas were bred with Afghani indicas to produce this Northern California staple, passing on a sweet citrus and spicy pine aroma. Trainwreck begins its speedy hurtle through the mind with a surge of euphoria, awakening creativity and happiness while the NYC begins to work on your body. Mtn. Girl Huckleberry is of Pilot Farms creation using their favorite strain, Mountain Girl, which is a cross of GDP, William's Wonder and White Widow. This all in one strain is added to Sunset Sherbert to increase the general spice and sweetness of the already mouthwatering and iconic chocolate cookie dough scent that the cookie family amplifies. Together these strain exhibit an immediate powerful full-body effect elevated by a jolt of cerebral energy brought on by a carefree mindset. Chocolate Hashberry an indica hybrid as are both the parents, Chocolate Kush and Blackberry Kush. This particular expression leans way more to the chocolate and kush sides than the blackberry with a high that focuses on the body first but moves on to the mind as you continue to smoke more. Notes of chocolate powder and wood come out when you crack these resin hardened grape shaped nugs. 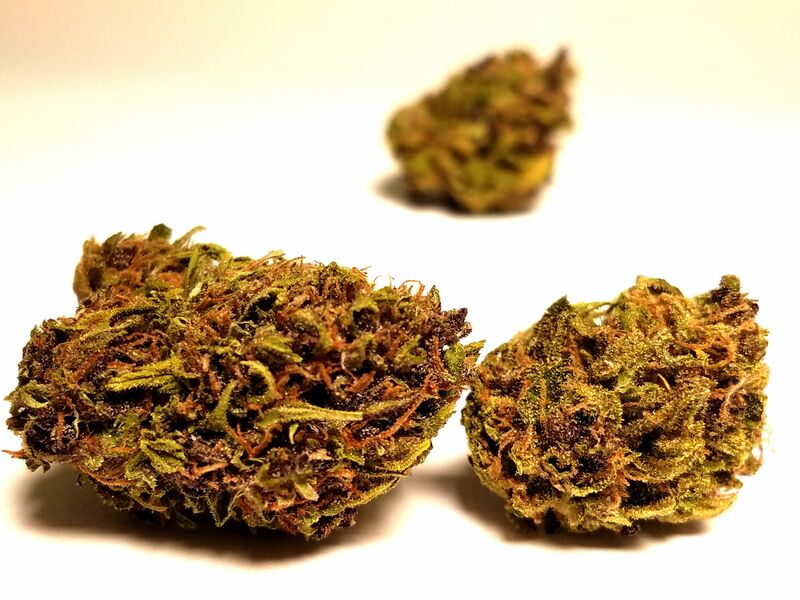 Granddaddy Purple is know for it's indica leaning medicinally inclined effects and powerful grape aroma. This bud is no exception to those rules. Its potent effects are clearly detectable in both mind and body, delivering a fusion of cerebral euphoria and physical relaxation. While your thoughts may float in a dreamy buzz, your body is more than likely to find itself fixed in one spot for the duration of GDP’s effects. Besides the exceptional effects comes a tantalizing purple grape scent as well as even hints of pine forests and wood. Mendo Breath is an easy going indica with a distinct lemon and grape candy aroma with more earth based flavors transfering to taste. This is a highly sought out cross of the rare Mendo Montage, which is a more upbeat and diversely fruity version of the original Mendocino Purps, but mixed with the pre-cookie parent Cherry Pie Kush (OGKB variety). You'll find it to be deeply relaxing but with the right amount of lemon to keep your head full of good energy and happy vibes.